The sports spirit in IGUMO is on a high level. 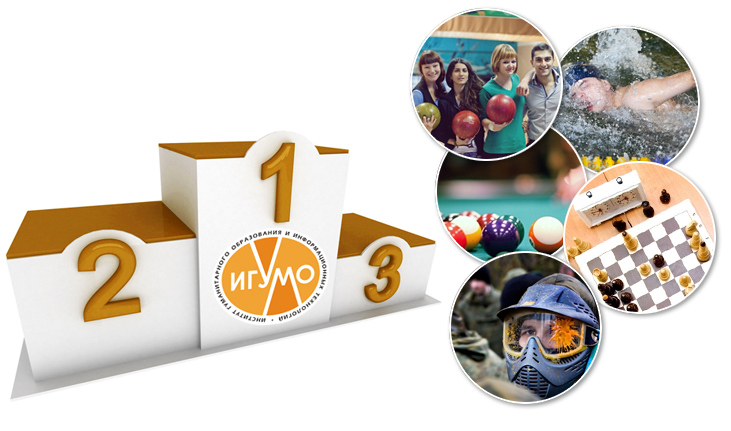 During the academic year the students of the institute and the college competed with each other on the football, basketball and volleyball pitches, tennis courts, bowling lanes and playing chess. The dean’s offices are always filled up with prize cups. It’s time to sum up the results of 2011-2012 sports events. The 4th place was taken by Economics Department, the 5th one was taken by Journalism Department. Hurrah to the winners! Best wishes to all sportsmen of IGUMO!